The undisputed king of torpedoes is the Montecristo No. 2. The stately smoke with the pointy tip is known the world over and ranks as one of the best-selling cigars in the Cuban cigar portfolio. And unlike some things that sell well, Monte 2s combine commercial success with critical acclaim. We have rated Montecristo No. 2s dozens of times in Cigar Aficionado blind tastings. The first time was more than 20 years ago, when we gave it a score of 94 points. This score of 96 is the highest rating we have ever bestowed on the cigar in a blind taste test. Recent production Monte 2s (those we smoked were from April 2013) are extraordinary, teeming with rich but not overwhelming flavors of leather, such sweet spices as cinnamon and nutmeg and the cigar's trademark tangy wood note. They have enough flavor and power to satisfy those who smoke cigars on a regular basis without overwhelming those who puff less frequently. The Montecristo No. 2 is anything but new. The cigar is one of the original sizes of the Montecristo brand, which was created in Cuba by Alonso Menendez in 1935 and became the best-known of all the cigars rolled at Menendez, Garcia y Cia., the biggest cigar company in pre-Castro Cuba. The Count of Monte Cristo, the 1844 work of French novelist Alexandre Dumas that culminates in a dramatic sword fight, is believed to have inspired the name. Today, the Montecristo box features swords crossed in a triangular pattern, and the band has a majestic fleur-de-lis, a symbol of the French monarchy, in its center. While Montecristo No. 2s smoke beautifully in their youth, they also make superb aging cigars for those with the patience. We have smoked Montecristos that have been stored for 10 to 50 years in a humidor, and they only get better over time. The Montecristo No. 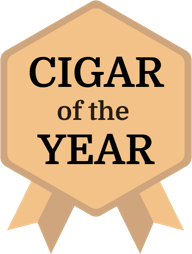 2 is a classic, and Cigar Aficionado's best cigar of 2013.